Cuban assassination plots involving exploding seashells and poisoned swimsuits. Bounties on the heads of high-profile communists. A secretive investigation that tracked John F. Kennedy’s assassin into Mexico. 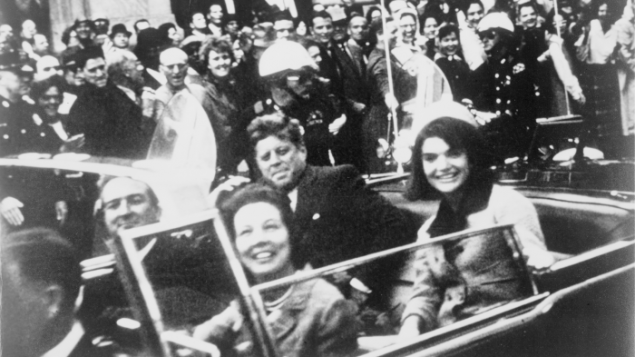 As scholars, journalists and the merely curious on Friday pored through a tranche of nearly 3,000 newly released secret documents related to the 35th president’s assassination, there were few if any major plot twists about what happened that day in Dallas in 1963. Instead, the files — which include secret FBI memos, handwritten notes from top White House officials, and CIA field reports — tell the story of America’s paranoid underworld in the 1960s, where shadowy figures chased secrets at home and abroad and hatched plots to change the course of history. The newly released records shine a light on America’s covert operations at a time when America was deeply suspicious of its Cold War adversaries, combating Soviet influence around the globe and engaging in disastrous attempts to overthrow communist revolutionaries in Cuba. The files portray the extent to which Kennedy’s death sent shockwaves across both West and East: An informant in the Soviet Union told U.S. officials that Kennedy’s death was greeted there “by great shock and consternation and church bells were tolled,” according to a top-secret Dec. 1, 1966, memo from then-FBI Director J. Edgar Hoover. 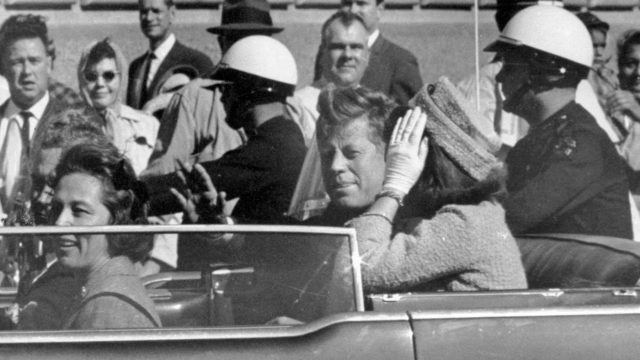 Soviet officials suspected Kennedy was killed by “some well-organized conspiracy on the part of the ‘ultraright’ in the United States,” part of what analysts in Moscow believed was an attempt to stage “a coup” in order to heighten tensions with the Soviet Union and communist Cuba, according to the memo. For all that the new documents reveal, the reality is that the government’s most sensitive documents related to the sprawling, decades-long investigation into Kennedy’s assassination have yet to be released. President Trump on Thursday ordered some records to remain secret for the next 180 days until they can be reviewed and redacted, after intelligence and law enforcement officials protested that some information in the records could compromise sources or America’s relations with other nations. The most tawdry accounts in the files only loosely involve Kennedy’s assassination, focusing instead on the U.S. government’s own plots to kill foreign government leaders and politicians. One top-secret White House document detailed a proposal to create “Operation Bounty” to assassinate prominent Cuban communists — suggesting up to $20,000 to kill communist informers, up to $100,000 for Cuban government officials, and a morbidly cheeky 2 cents for the death of Fidel Castro. Some of the proposed plots involved placing botulism pills in Castro’s food, with the CIA’s director of security at one point testing the pills on some guinea pigs “because I wanted to be sure they worked.” Pills were sent to “assets” in Cuba who tried to poison Castro at a restaurant, but failed. That document also reviewed the Central Intelligence Agency’s efforts to assassinate other foreign leaders, including discussions about killing Democratic Republic of the Congo leader Patrice Lumumba, who was shot to death in 1961, three days before Kennedy’s inauguration. The agency denied playing a role. The records also detail how the CIA organized a group of “internal dissidents along with several exile organizations” that successfully assassinated Dominican Republic dictator Rafael Trujillo on May 30, 1961. “We have concluded that there was an improper level of American involvement in the death of Generalissimo Trujillo,” the Rockefeller memo said. Presidential researcher Ken Hughes of the University of Virginia’s Miller Center says “the government is still withholding the best documents” — that is, information not just on Kennedy’s death, but about America’s foreign policy in the 1960s. “We still need to see the CIA’s internal report on the US government’s role in the overthrow of President Ngo Dinh Diem of South Vietnam,” who was assassinated less than a month before Kennedy’s death, Hughes said in an email.